If you've been paying attention to the world of gambling, you likely know that Internet gaming has become a major alternative to the traditional land-based casinos you may be used to. But because these web sites are still relatively new, many people stay away from them simply because they aren't certain about their legality or whether online gambling offers any special benefits for them. In reality, there are plenty of advantages to playing at an online casino. Internet gambling sites are completely legal in New Zealand (provided they aren't hosted in NZ, as local companies are not prohibited to offer online gambling), and there are many good reasons why gamblers might want to take advantage of the opportunities offered by these online casinos. One of the biggest advantages to Internet gambling is the valuable promotions that players receive from the casino itself. Imagine you were to walk into one of the Skycity casinos and sit down at the tables. The casino is unlikely to give you a special bonus just for playing, and even if you're a regular customer, it'll be hard to get more than a few small match play coupons or free meals. Online casinos, on the other hand, are happy to provide you with bonus funds to enjoy in the casino from the moment you sign up for an account. When you make your first deposit, you'll be in line for a bonus, one that can often be worth hundreds or even thousands of dollars. In fact, many casinos will give you a bonus equal to the size of the deposit you make – a deal no land-based casino will ever offer you. And as you continue playing, the online casino will track all of your play to provide you with more promotions, bonuses and rewards based on your loyalty to their site. There's simply no way that a traditional casino can match the level of convenience that you get when playing at an online gambling site. While it might take you hours to get to your local casino – and you might have to wait for a seat at your favourite game once you get there – your favourite online casino is never more than a click away. There's never a line at the blackjack table when playing on the Internet, either. These days, online casinos are more convenient than ever thanks to advances in mobile gaming. 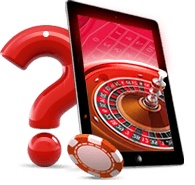 Today, you can reach most Internet gambling sites using a smartphone or tablet device. This means that wherever you have an Internet connection, you can play any of your favourite casino games. While modern land-based casinos have great game selection, they still can't compete with the selection at a typical Internet gambling site. Most online casinos offer a selection of several hundred games, including hundreds of unique pokies and several variations on each of the major table games. Combine that with video poker machines and extra "specialty" options like scratch card games, keno and more, and you get a game selection that even the largest Vegas-style casino resorts will struggle to match. But the game selection benefits aren't just about the number of games available. Head into a traditional casino and try to play a table game, and you'll face minimum bets of $10, $25 or even more depending on the casino and the time that you choose to go. Online casinos, on the other hand, will allow you to play most table games for a dollar (and sometimes even less), and some pokies can be played for as little as a penny at a time. If you've ever dreamed of winning a jackpot on a pokie at a casino, you can't do much better that the linked jackpots you'll find on the Internet. With progressive jackpots that are linked not only between hundreds or thousands of players playing the same machine at your Internet gambling site, but also often between several such sites, there are frequently jackpots available at online casinos worth many millions of dollars! Combine all these factors together and it should be clear that online casinos have significant advantages for players over their land-based counterparts. 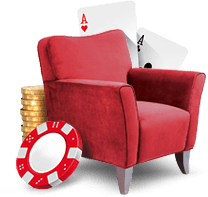 If you've been looking to get the best value possible for your gambling dollar and the widest possible range of options, online gambling is almost certainly the way to go. Convenience: Play whenever and wherever you want. Bonuses: Get free money to play with just for depositing. Game Selection: Play any game you want and any stakes level. Jackpots: Massive progressive jackpots worth millions. Promotions: All play is tracked to give you continuing rewards. Less Social Interaction: Online casinos can't give you the same experience of playing at a table with friends and strangers. Fewer Amenities: Resort casinos offer dining, shopping and entertainment; online casinos can't provide these services. However, if you'd like to experience the thrill of a live casino, check out NewZealand.com where the biggest NZ casinos are listed.